Celebrate spring with these 25 DIY projects perfect for decorating your home with floral accents or soft pastel colors. After the long cold days of winter, celebrate the return of warm weather and flowers with a large DIY sign covered in flowers that would be perfect to hang over your fireplace mantel to bring spring blossoms into your home. Now that the weather is getting warmer many birds are returning back after flying away to warmer climates. Celebrate the return of birds, by painting your own birdhouse to hang in your backyard so that you can enjoy watching the birds eat in your back yard. Showcase spring blossoms by crafting a beautiful flower chandelier that is perfect to hang over your table for a party decoration, or for a simple centerpiece for a date night at home. Beautifully set the table for your next dinner party this spring by making a table runner out of flowers by arranging tons of little vases each filled with a single blossom to create a spectacular centerpiece that is easy to assemble. Update your home's exterior decor for spring by removing all the old Christmas decor and adding a few fresh plants and DIY stenciled doormat by your front door to quickly update your porch. Holographic everything is super trendy right now, and one affordable way to bring this trend into your interior decor is by crafting your own holographic vase that shines in soft pastel colors. Add some soft pastel colors to your table setting or coffee table by making yourself a set of brushstroke coasters to use under drinks this spring. If you are looking for a quick way to add some spring decor to your walls, you can print this tulip artwork to hang in your home for some free art. Say hello to spring with this cheerful DIY wreath that you can make to hang on your front door this year. 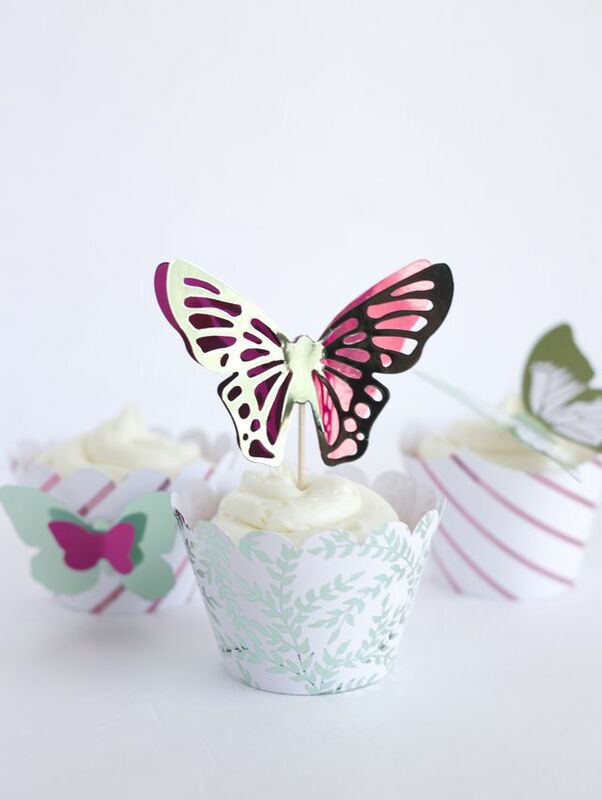 The return of flowers in the garden also means the return of beautiful butterflies fluttering around your yard, making these lovely DIY butterfly cupcake toppers the perfect way to decorate your own batch of cupcakes this spring. Give a fresh look to one of your old clutch by using paint to add your favorite pastel color to give it a makeover with this clever DIY. Perfect for spring and summer this DIY hello sunshine sign in sunshine yellow could be a cheerful addition to your home's decor by adding it to a shelf or wall in your home. Is spring your favorite season? Celebrate the spring that is all about new beginnings, budding plans and the return of warmer weather by making a moss sign to hang on your front door that says hello spring. Decorate a glass vase to look like a wood vase with modern color blocked design in your favorite spring colors with this amazing DIY project. The completed wood vase is perfect for adding some fresh flowers to your desk at work this spring. This spring mail a friend a cute handmade flower card that contains some flower seeds for them to plant in their garden to celebrate the start of the new season. Add a few blossoms to your home by making a minimal hanging chandelier where you place several test tubes to hold flowers. Send the kids to school with a beautifully packed lunch by making them a stylish gold bento box with pastel colored band to hold the lunch box together. Bento boxes, popular in Japan, are a great way to store lunches, and chances are you will like this DIY gold bento box so much you will want to make one for you to pack your lunches for work. With the start of spring it means the return of gardening, so make some modern copper plants to start planting in. Package up desserts or small gifts in a DIY petal gift box out of pastel paper for an affordable way to wrap a gift this spring. Update your bar cart this spring with a glam glitter cocktail shaker that is super easy to make! 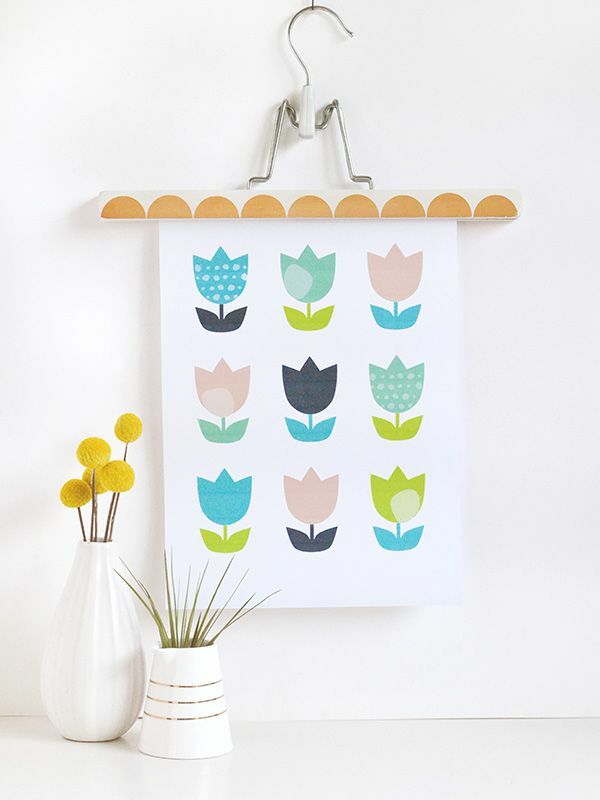 Update your home office with some spring paper crafting. Making yourself a set of fun rainbow edge stationery to write letters on this season. Bring the blooming flowers in your garden indoors to display in your house by learning how to make your own mini spring floral arrangements. Update your office stationary at work by making yourself a beautiful flower pencil perfect for writing notes with. Showcase beautiful spring flowers by making your own floral wall clock to hang in your house. Mix soft pastels into your interior decor by learning how to build your own mid-century inspired side table that has pastel accents that would be perfect in your living room.